Q | Color : Push the boundaries of color with Quantum Dots and a billion shades, reserved for our ﬂ agship QLED TVs. Q | Contrast: Experience dramatic depth with incredibly deep blacks and an anti reﬂective screen. Q | HDR: See colors in movies and shows pop, just as the director intended—in stunning high dynamic range. Ok, so it's early...I've had the TV for 2 weeks but WOW!!! I looked at OLED from LG and Sony and while both pictures were impressive in 4k, putting them side by side in 4k was almost indiscernible. I do give a slight nod to OLED but with this TV at 1/2 the price of the same size OLED, it was an easy choice. 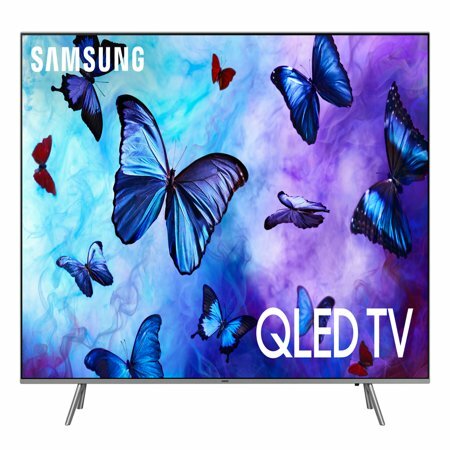 The other benefit of QLED over OLED is that there is minimal chance of "burn in". 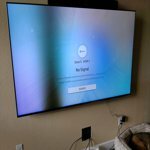 I have a high end Samsung Plasma as the last TV I purchased before this one and my, then 5 yo son left a screen on that resulted in a ghost pattern rectangle in the upper left corner. So, hopefully, no more burn in. The other thing that is quite impressive is the sound. This set sounds like it has a subwoofer and sound bar coming out of the screen. It's not a full on 5.1 surround system, which I normally hook up, but if you are going for a TV with excellent sound without any peripherals, this is the best I've tested. Bottom line...for under $1500 you can't beat the quality of sound and picture. I mounted this on my wall and ran into an issue where the top 2 screw holes were A LOT shorter than the bottom 2, which makes no sense. It also seems really heavy compared to most new model smart TVs of a similar size. Otherwise, I'm very happy with it. The display and sound are fantastic, and it was super simple to set up (you do need to install a Samsung app on your phone to set up the wifi). At the instant savings price (-$400), it was a great buy. After only 3 weeks TV has a dark vertical stripe, very disappointed.